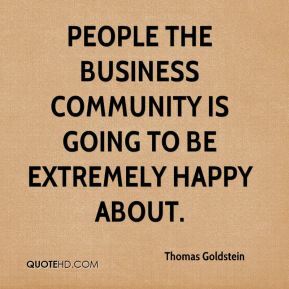 people the business community is going to be extremely happy about. 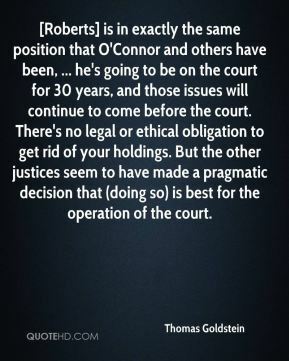 [Roberts] is in exactly the same position that O'Connor and others have been, ... he's going to be on the court for 30 years, and those issues will continue to come before the court. There's no legal or ethical obligation to get rid of your holdings. But the other justices seem to have made a pragmatic decision that (doing so) is best for the operation of the court. 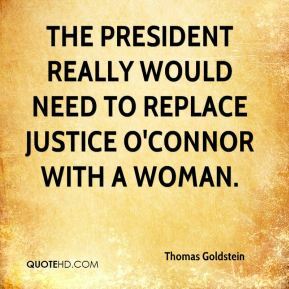 The president really would need to replace Justice O'Connor with a woman. 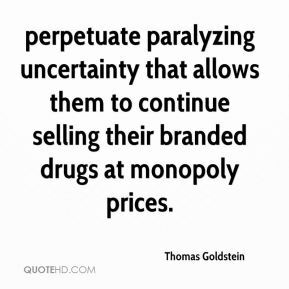 perpetuate paralyzing uncertainty that allows them to continue selling their branded drugs at monopoly prices. 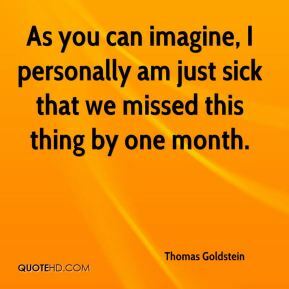 As you can imagine, I personally am just sick that we missed this thing by one month. 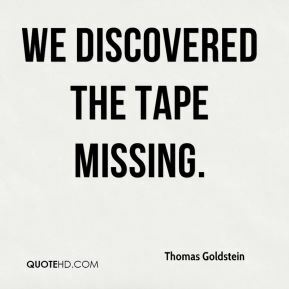 We discovered the tape missing. 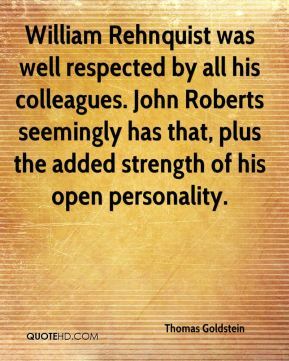 William Rehnquist was well respected by all his colleagues. John Roberts seemingly has that, plus the added strength of his open personality. 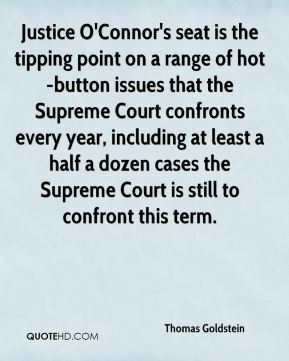 Justice O'Connor's seat is the tipping point on a range of hot-button issues that the Supreme Court confronts every year, including at least a half a dozen cases the Supreme Court is still to confront this term.